Cute 1 inch Summer themed pin badge. What is Summer without lots of ice cream? 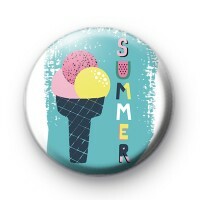 This badge has a huge ice cream and the word SUMMER written in fun bright font.